Suwannee River Hideaway Campground is a year-round park located on 60 beautiful acres in the Florida wilderness near the city of Old Town. 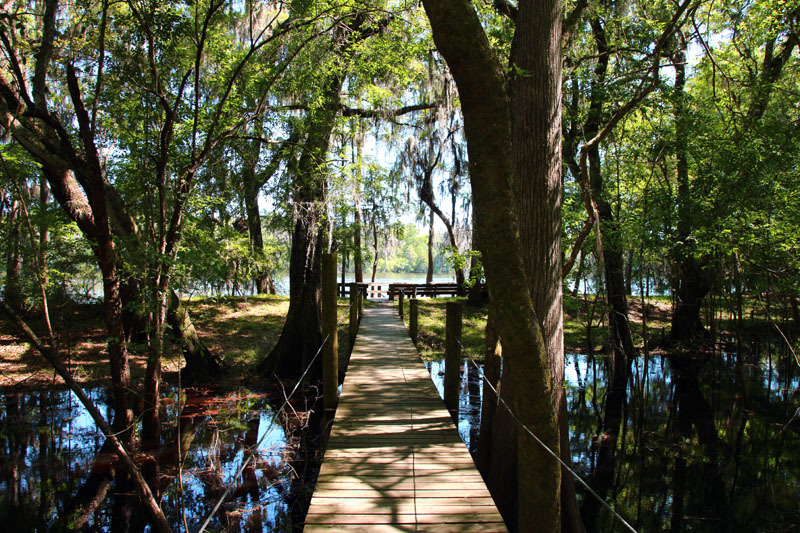 With 2,000 feet along the Suwannee River and an amazing boardwalk through the wetlands, this is the ideal campground for those who love the water, wildlife, and unique flora and fauna. Suwanee is a pet-friendly park that is great for families. 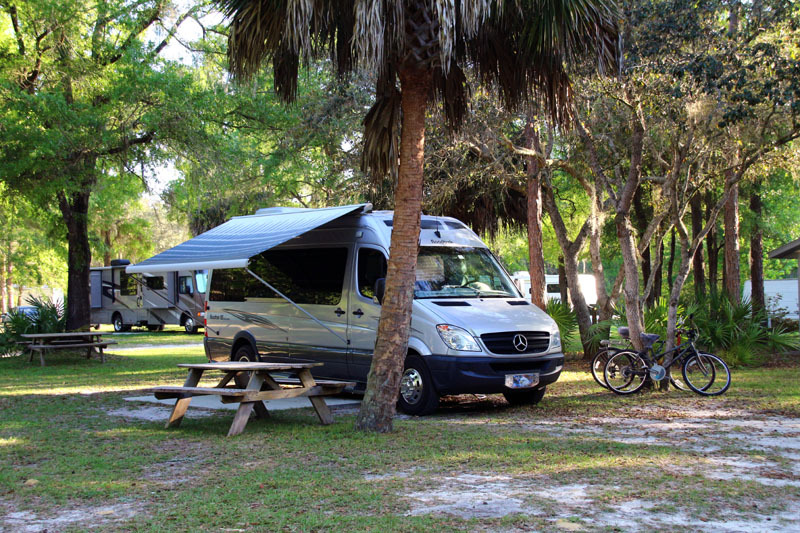 Whether you want to rough it in a primitive site or enjoy the luxuries of a full hook-up RV site, you will find a campsite to fit your needs at this peaceful Florida campground. Campers have their choice of full hook-up RV sites with 30/50 hookups, or large, shaded, grass tent sites. 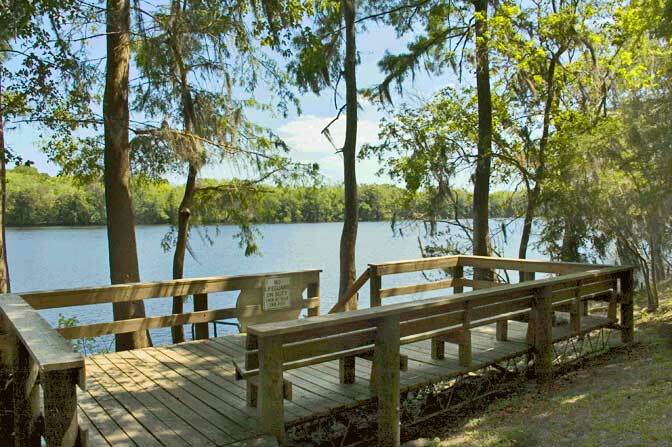 If you want to be near the water, there are numerous RV sites situated on the pond. RV campers looking for extra space can reserve a site with a patio, and large groups love the spacious group tent sites. At the campground visitors can also enjoy a beautiful outdoor pool, a charming 1920’s General Store, a clubhouse, fire pits, picnic tables, laundry facilities, restrooms, showers, drinkable water, and free Wifi. Old Time is located 20 minutes from Florida’s Gulf Coast, often called “Nature Coast.” This area is great for fishing, wildlife watching, swimming, boating, and Scuba diving. 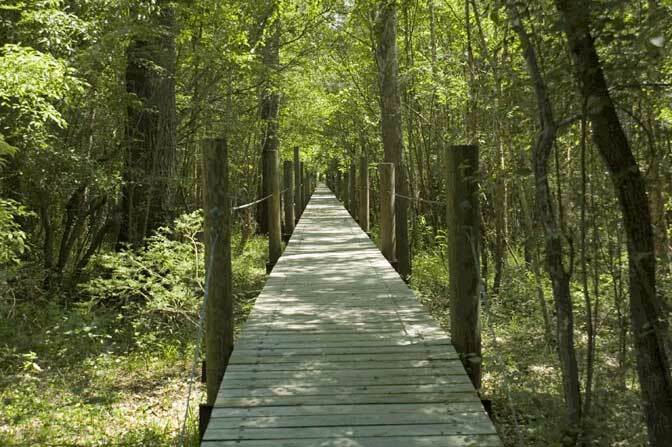 The Nature Coast State Trailhead is only 3 miles from the campground and offers more than 30 miles of paved trails for hiking and biking. The Historic Suwannee River can be accessed from Suwannee River Hideaway Campground via a 1500’ boardwalk that travels through the wetlands. The river is popular for fishing, paddling, birding, and just enjoying nature at its finest. If you bring your boat along, you can take advantage of a public boat ramp just 1 mile down the road from the campground. If you want to get back to nature and enjoy a peaceful Florida getaway, this could be the campground for you! Close to popular attractions and great outdoor recreation, Suwannee River Hideaway Campground is perfect for a week of relaxation and adventure. Book your stay today on Camp Native!